What do you see in the picture above? 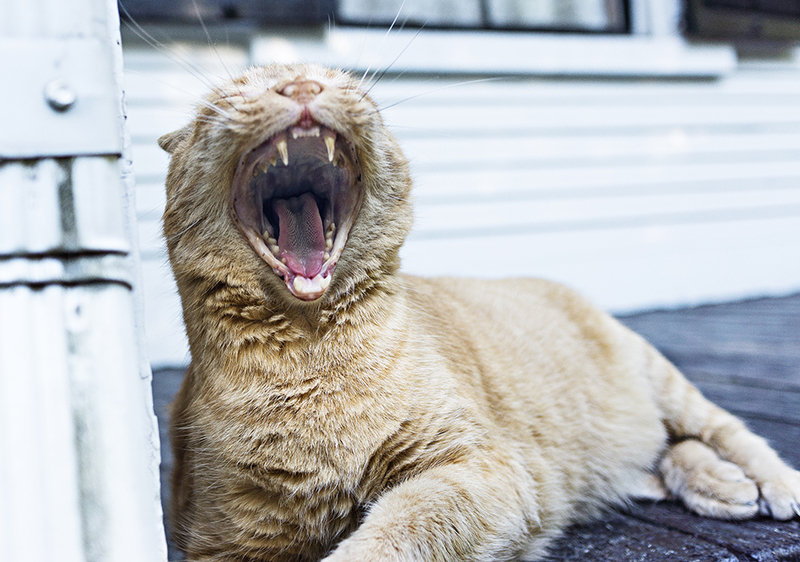 A cat yawning or a cat on the verge of attack? Brand perception is everything and because of this, it is crucial that your brand look professional and represent your mission. When was the last time you had a Brand Redesign a.k.a. a Brand Upgrade? Has your mission changed at all since your company’s inception? If so, does your logo, collateral materials and website reflect that mission? Let prospective clients know who you are and what you have to offer. Most of the time, we don’t get to communicate this before a person has already made their mind as to whether or not they want to do business with you. Take a look at your branding and tell me what does it represent? Does it scream 1995? Is it speaking to individuals while your brand has evolved to a B2B? If you haven’t had a Brand Redesign in the last 3 years, it might be time for a refresh. If your dream clients & services are more refined your visual brand should reflect this new, mature you.